As IT admins look to the cloud for potential IT management tools, many are focused on gauging and comparing the value of these cloud-based solutions. 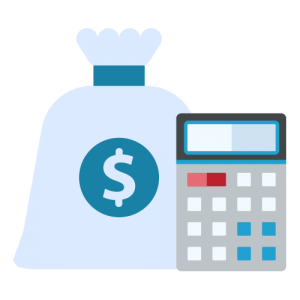 In the process, IT admins are trying to calculate the ROI of JumpCloud® Directory-as-a-Service®, but calculating the value of a service to an organization is always dependent upon that organization’s specific needs and requirements. Let’s take a look at factors to consider for calculating the ROI of JumpCloud for your organization. 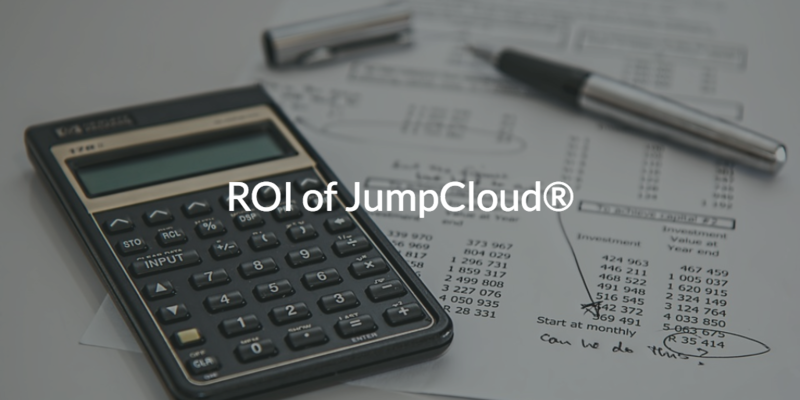 Generally, there are a two primary ways to calculate the ROI of JumpCloud. One, is to think of the costs that JumpCloud is replacing. In these cases, JumpCloud is likely replacing existing solutions or approaches. For instance, many IT organizations replace Microsoft® Active Directory® (AD) with JumpCloud. For others, JumpCloud’s web application single sign-on, system management, or multi-factor authentication (MFA) capabilities, to name just a few, are an alternative to existing solutions. In these cases, creating a spreadsheet with the costs that are currently being incurred is fairly straightforward. Drop us a note and we’d be happy to provide you with our calculator for the true costs around various identity and access management (IAM) solutions. A second approach is to estimate the ROI based on efficiency, infrastructure savings, and personnel costs. In some cases, assigning value to productivity enhancement for employees could be considered as well. With this approach, there is always the challenge of allocating the amount of time saved, infrastructure optimized, and personnel reduced. It is always difficult to agree on the dollar value of these savings. Organizations where there isn’t an existing solution may choose to take this approach. JumpCloud has built a comprehensive ROI calculator with many of these categories of savings that can be customized to determine the right levels of time and money saved. Many organizations might also combine these two different ways of calculating the ROI of JumpCloud. If these methods aren’t accurate enough or all encompassing, there are still other areas to explore, such as the intangible values to an organization. These range from the value of increased security to the ability to leverage the best-of-breed IT resources, since JumpCloud is a neutral platform. Enabling freedom of choice is one of the biggest impacts of Directory-as-a-Service on an organization. Regardless of the approach, it is critical to tie these various components to the areas of value to the organization. By determining your organization’s IAM needs, you create a platform on which to build your IT infrastructure, and ultimately, those solutions fit your needs best. JumpCloud not only fits the majority of IAM needs encountered by organizations, but also provides value to other parts of an IT organization that may be overlooked. To quote an old internet saying that Tim Cook recently repeated, “If you’re not the customer, you’re the product.” While some solutions may seem to be the better option due to their low prices, organizations leveraging their software are likely subject to data collection policies. JumpCloud, on the other hand, keeps user identity data secure, and only accessible by the company that owns it. How much is peace of mind worth to you?